Enjoy aerial views of Savannah and Old Fort Jackson on this helicopter tour. As you soar above downtown Savannah, your pilot will point out Forsyth Park, City Hall, the Cathedral of St. John the Baptist, and more. 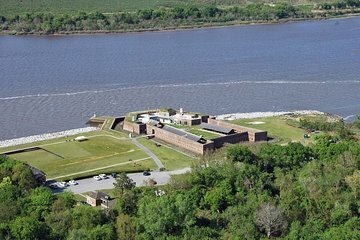 Cruise over the river to Old Fort Jackson, and take in views of River Street, Hutchinson Island, and the Talmadge Bridge before your tour concludes.